Monster has been pioneering advancements in the home audio and video. Driven by the purist of motives, Monster thrives on creating an experience that is as close to the real thing as possible. 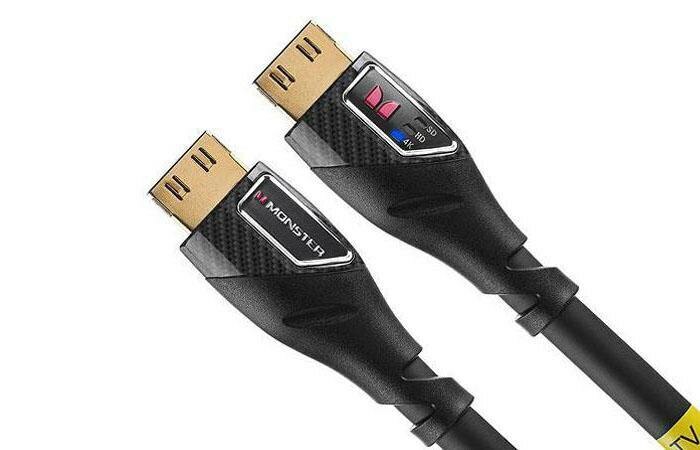 From our original speaker cable to this, the world's most sophisticated UltraHD HDMI cable, we’re making your music and movies look and sound extraordinary. Ultra fast for Ultra HD TV -- a blazing 27Gbps! Performance LEDs light up your resolution, eliminating guesswork Certified by the Imaging Science Foundation Lifetime Warranty and Cable for Life Guarantee 8-16 Bit Color, 60/120Hz frame rate for saturated, fluid image Performance Indicators Light Up to Indicate Resolution With all the various connections you can make to your TV, it’s hard to know if you’re getting the resolution that you paid for. Monster’s exclusive Performance Indicators show you the resolution being pushed to your display, whether it’s Standard Definition, High Definition, or 4K UltraHD resolution.